Well Loren is a little strange player. He's able to shot with power but he has almost ever to decide between accuracy or power. It seems that he can combine them well. When he does scores goals like the first one he scored with the team. Aggresion seems very high to me; Tonny Sanabria makes a lot of pressure, more than him. Even Sergio León. OK, this doesn't infludes in willingness to make pressure, but has to do with likeliness of him to stick or not to his position. It should be lowered, though, but not as much as I believed. He doesn't pressure the man, but he covers. 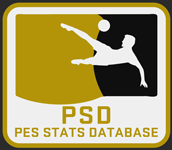 There is another stat which is more related to pressure, but I don't know what is now. I'd set his condition in 6. He's playing almost every matches since he joined, despite the fact that he joined last season in window market. In addition, he had been the Betis B's reference. He scored 17 goals in 23 matches and he ended up as top scorer of his group in 2aB (2nd B, 3rd Spanish division). Although, his team got relegated at the end of the season. Rest of stats seems more or less right. I'd have put him P12 - Goal Poacher. +1 atk, -1 dspd, -1 agility, +3 spa and +2 in sps, +2 sp, +1st, -1 tech. I can't tell you about header, jump, curling and long pass. Rest seems OK.